Up to 15 million hectares of the Brazilian Amazon is at risk of losing its legal protection, according to a new study from researchers at Chalmers University of Technology and KTH Royal Institute of Technology, Sweden, and the University of Sao Paulo, Brazil. This is equivalent to more than 4 times the entire forest area of the UK. "Brazil has favourable conditions for increasing production on land which is already used for agriculture, in particular lands where low-intensity animal grazing is practised. But if the legal protections for nature are weakened, it could lead to agricultural growth being based more on increasing the amount of agricultural land, rather than increasing the production on lands already in use. This would be at the expense of valuable natural ecosystems, with negative impacts on biodiversity. 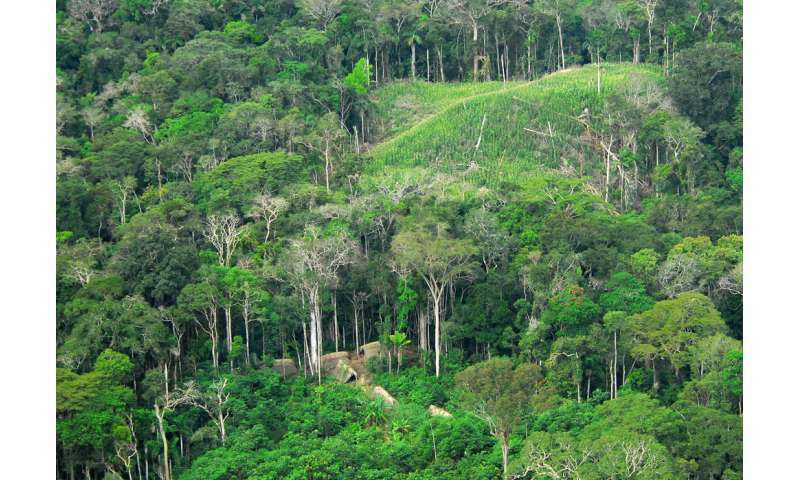 It would also lead to extensive greenhouse gas emissions, since much of the Amazon is covered by forests," says Flavio Freitas at the Department for Sustainable Development, Environmental Science and Technology at KTH, and leader of the study. In Brazil, there is a legislative requirement that private landowners designate a certain part of their land for the protection of native vegetation. Private landowners in states that lie in the Amazon region may use up to 20 percent of their land for agriculture, with the rest reserved for nature. But the law contains a paragraph which makes it possible for states to reduce this land use restriction, if more than 65 percent the state's territory is protected public land. "Earlier studies concluded that this paragraph probably would never be invoked. But we have now shown that the ongoing land tenure regularisation process of undesignated land in the Amazon could lead to the paragraph being invoked in several states in the Amazon region. If this happens, it would become legal to use a further 30 percent of the privately-owned land for agriculture," says Göran Berndes, Professor at Chalmers, and one of the authors behind the study. This means that between 6.5 and 15.4 million hectares could lose the protections they enjoy today. By way of comparison, the total forest area of the UK is about 3.17 million hectares. The areas that might become legally available for agriculture consist primarily of tropical rainforest, which hold high biodiversity values. Additionally, tropical deforestation causes large carbon dioxide emissions, which contributes to global warming. "Brazil has pledged that by 2025, its greenhouse gas emissions will be at a level 37 percent lower than in 2025," says Göran Berndes. "That will be a struggle if deforestation is not kept down." "If this protection disappears, it doesn't automatically mean that these rainforests would be lost. But it is important to acknowledge the situation, and to consider possible mitigation actions before such development take place. We hope that our study can make an impact in Brazil as well as internationally," says Flavio Freitas. "One possibility is that the law could be revised, with the paragraph adjusted or removed entirely. In addition to legal measures, businesses could help to reduce the risk through non-deforestation commitments. Such measures could be motivated by simple economic reasons – there is a strong international awareness of the downsides of deforestation, and Brazilian agricultural exports will likely be negatively influenced through their association," he continues. The study, "Potential increase of legal deforestation in Brazilian Amazon after Forest Act revision," is published in Nature Sustainability. Is this article not an addend to the equation? +The higher the stakes for facilitating resource plundering. = You do the math. "Brazil has pledged that by 2025, its greenhouse gas emissions will be at a level 37 percent lower than in 2025,"